« What Are the Best Trees to Increase Your Curb Appeal? Many gardeners much prefer planting and cultivating plants that will survive for many years, throughout Maryland winters. While annuals make for a beautiful pop of color in your yard, they are not around for very long and can make for a frustrating and costly replanting season. Many gardeners much prefer planting and cultivating plants that will survive for many years, throughout Maryland winters. Here are some ideas of year-long plants that will keep your garden green all year round, providing you still perform basic maintenance and keep pests away! 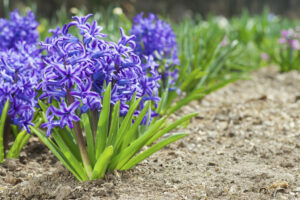 Many people think that perennials die over the winter, but that simply isn’t true. Perennials will often appear to be dead, but they are just dormant until they will bloom again in the spring. There are many beautiful perennials you can pick from including Peruvian ivy, catmint, coreopsis, forget me nots, and coral bells. Perennials also don’t have to only bloom for a brief period of time, as there are many varieties that have longer blooming periods like Russian sage, beard tongue, and fernleaf bleeding hearts. Just like their name implies, evergreen plants stay lush and gorgeous all year round. Beyond pine varieties of trees and shrubs, there are many species of the acacia, Mayten, Saratoga sweet bay, and sweet olive trees that are all evergreen. Evergreen trees require relatively little maintenance once they are established. Hop bushes are very sturdy, as they can easily endure windy conditions, poor quality soil, and high heat. While evergreens may stay green throughout the year, not every evergreen plant, tree, and flower stays in bloom the entire year. There are very few plants that are in bloom all year long, but there are a couple options for gardeners looking for pops of color in their flowerbeds year round. Chinese hibiscus is available in many different bright colors and will bloom in every season. Asters, if left alone, will flower from May to October. 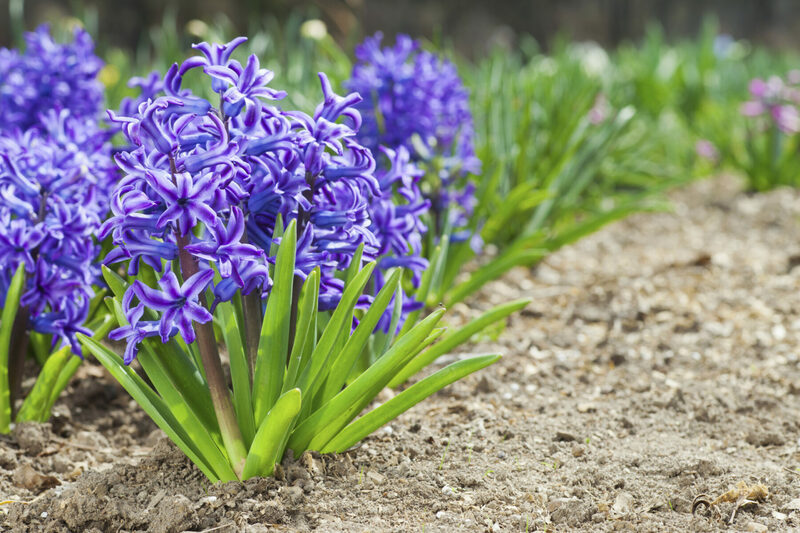 With coaxing and deadheading, they can produce flowers throughout the year. Ready for a Year Round Landscape? If you are looking for help transforming your yard into something that stays beautiful in the heat of summer and the chill of winter, Atlantic Maintenance Group is ready to help you with our variety of landscaping, asphalt, snow removal, and concrete maintenance services. We are experts in our field and we are prepared to meet your needs with a price and product that will leave you grinning. If you’re interested in getting a free quote or more information, visit us online or give us a call at (410) 768-4720. To see examples of our work and stay up to date on our specials, follow us on Facebook, Twitter, Pinterest, and Google+. This entry was posted on Friday, July 8th, 2016	at 6:42 pm	and is filed under Blog, Landscaping Design, Lawn Tips	. You can follow any responses to this entry through the RSS 2.0	feed. Both comments and pings are currently closed.